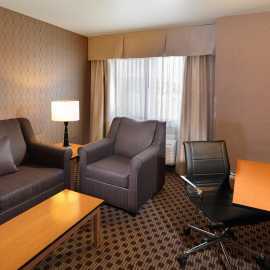 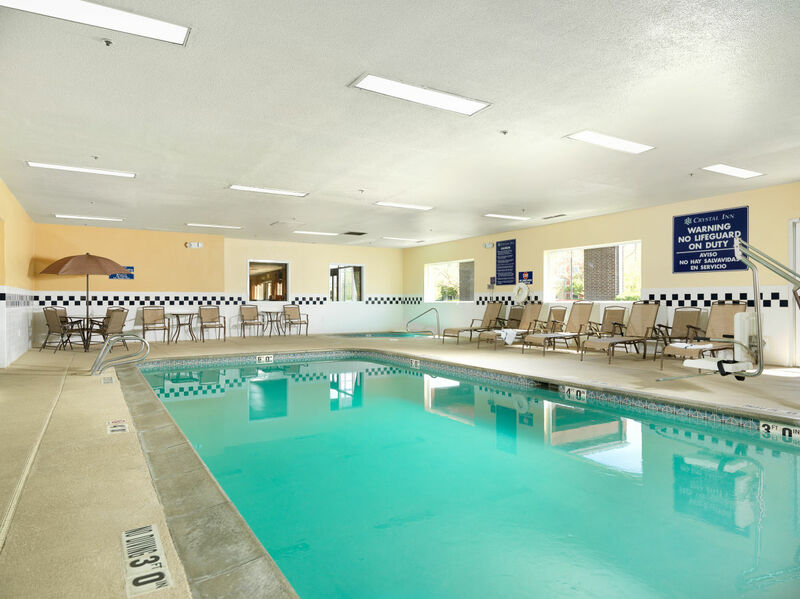 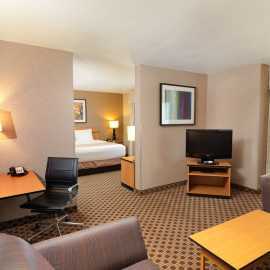 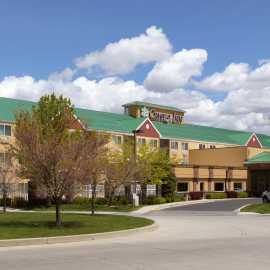 The Crystal Inn Hotel & Suites West Valley City is located just off the I-215 freeway at 3500 South, just 10 minutes from downtown Salt Lake City in the heart of West Valley City's Entertainment district. 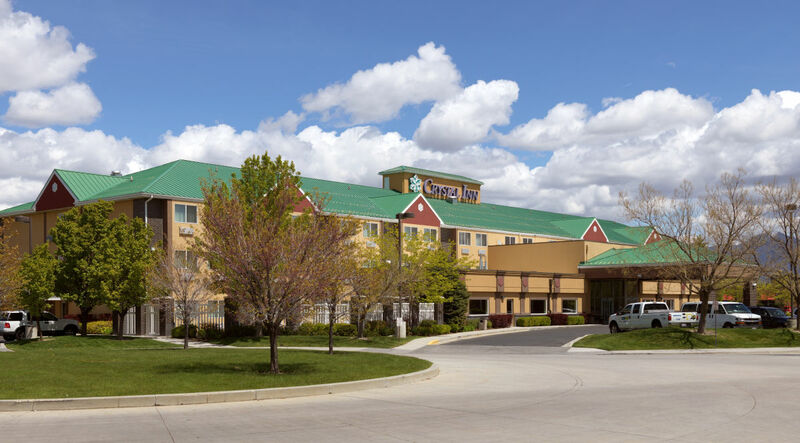 Crystal Inn is adjacent to the Maverik Center and within walking distance of a Trax light rail stop, eight restaurants, two sports bars and a coffee shop. 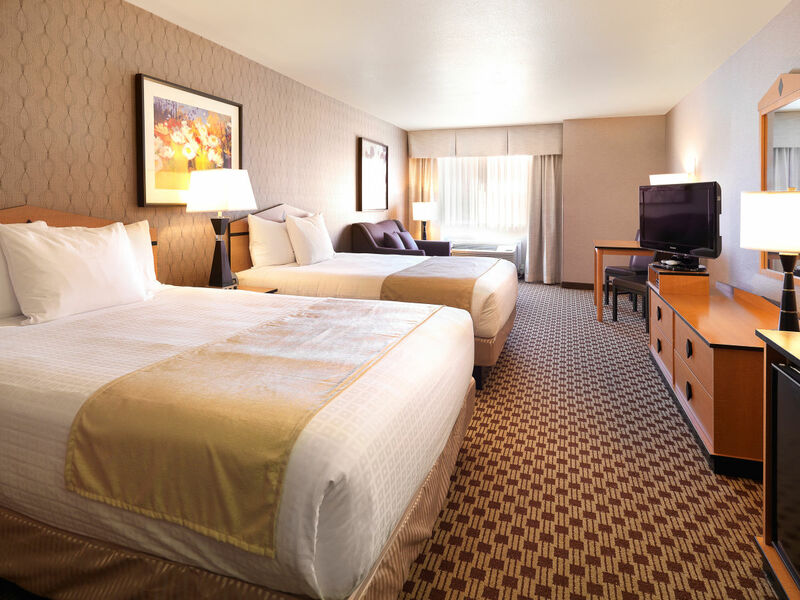 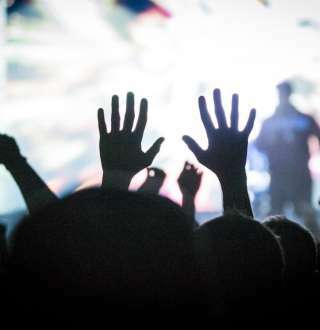 Complimentary transportation is provided within a three-mile radius which includes Valley Fair Mall with shopping, more restaurants and a 15 screen MegaPlex theater with IMAX and 4-D box theater. 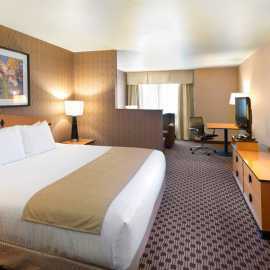 The Crystal Inn provides updated, comfortable accommodations and includes 24-hour airport transportation, complimentary parking, complimentary internet access, 24-hour convenience store and a full hot breakfast buffet daily. 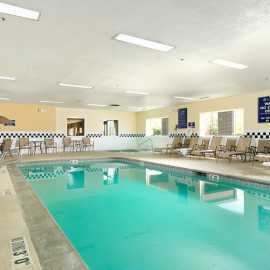 Pool, hot tub and exercise room available at no charge to guests. 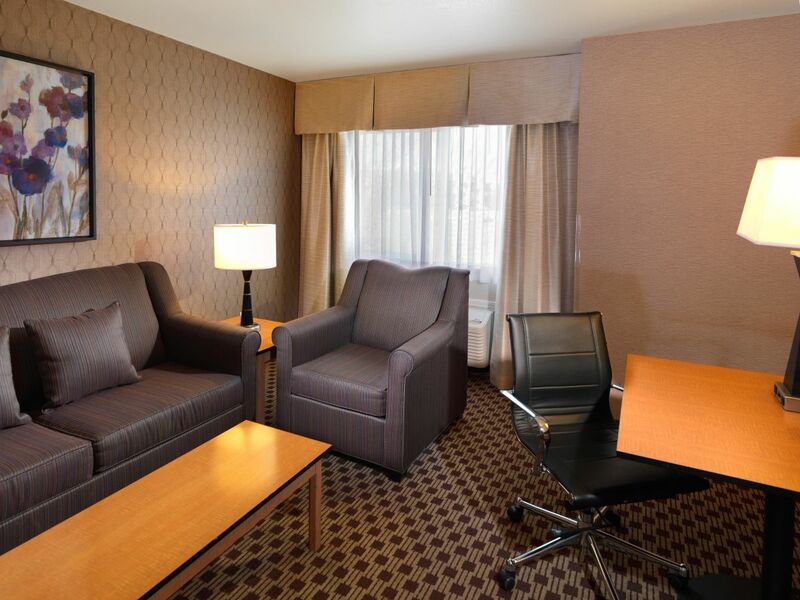 In-room amenities include microwave, coffee maker, refrigerator and Bath & Bodyworks products.